A dashing explorer mask like this one is perfect for any anthropological expedition. 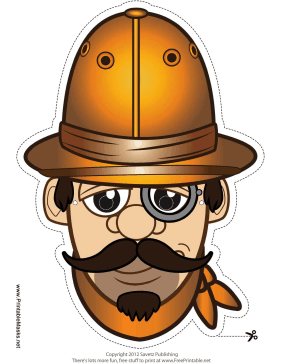 His helmet, bandana, and monocle are perfect for journeying through the jungle or desert! This mask is free to download and print.